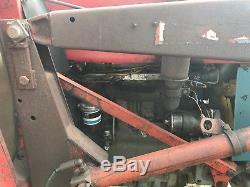 1974 165 with the four bolt lift pump. 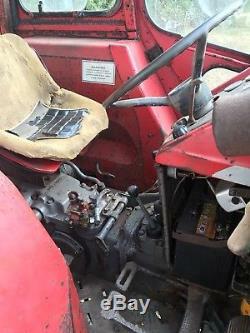 The tractor had been left undercover and untouched for 4 years from when the original owner had passed. Full service and new battery and it has been working for me since. Recent new front wheel and tires but have the old ones if you wish. 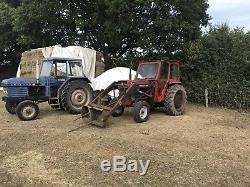 Tidy tin work for its age comes with two buckets and bale spike. Clean leyland 270 to be listed soon. 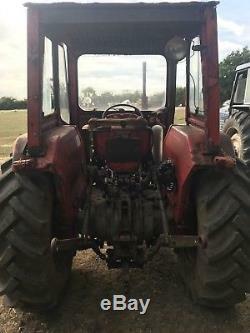 The item "Massey Ferguson 165 Tractor, original working classic, barn find, on farm from new" is in sale since Friday, September 21, 2018. 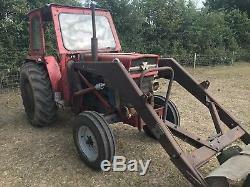 This item is in the category "Business, Office & Industrial\Agriculture/Farming\Tractors\Antique Tractors". 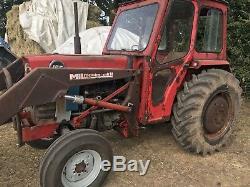 The seller is "chrisc9360" and is located in Uttoxeter. This item can be shipped to United Kingdom.